Help is available to help you through this difficult time. WHILE most matriculants are celebrating the end of more than a decade of studying, others are bitterly disappointed at their examination results. Some matriculants may feel so overwhelmed that they could contemplate suicide. Hentie Malan, the branch manager at ER24’s Johannesburg West offices, said paramedics respond to numerous suicide cases at this time of year, mainly due to the pressure of matric examinations. ER24 urges people contemplating suicide to consider the trauma family and friends may experience. Henning Jacobs, the trauma support co-ordinator at ER24, described scenes he attended. “The scene can be summed up as total shock. Nine out of 10 times the family did not expect the suicide. They usually state that the person did not show signs of stress or depression. They could not believe this person could do such a thing. The impact is severe and many people have breakdowns at suicide scenes due to the gruesome images of their loved ones who have committed suicide,” he said. Paramedics try their best to save patients. Malan said, “While resuscitating these patients I feel I need to do everything for this child to survive so they can talk to their parents, resolve problems and carry on with their lives,” he said. Lithgow said teen suicide is often associated with feelings of extreme helplessness, anxiety and the inability to see how they can go on in a situation. “Hopelessness seems to be an overarching emotion in suicide. People feel there is no way out. “Consider the pressure of 12 years at school culminating in one set of exams. Everything you have done leads you to this point. We are taught that without this magic matric we will amount to nothing. For most people this is a difficult thing to come to terms with. “As we become older we learn that this is not the case. The sense of despair, aloneness and complete helplessness in the situation and the inability to see a future seems to be a strong motivating factor. As parents we all want the best for our children, but this needs to be tempered against their best, not our perceived best,” she said. Lithgow added that it is a difficult balancing act because it is at this stage in a teen’s life where physiology also plays a big part in how they feel. She believes communication and honest open dialogue is necessary. Parents are advised to always be available to talk to their children and work through problems together. Difficult situations may arise but children need to know they are not alone and not in a helpless situation. Dr Robyn Holgate, the chief medical officer at ER24, said suicide is an unpredictable event. “We cannot say who is going to kill themselves. There are 23 suicides a day in South Africa and 230 attempts,” she said. She said people should obtain help for those who appear sad, are struggling to cope with the circumstances or express that they are contemplating suicide. “Make sure they know they can come to you. Be confidential, assure them that there is help and get the appropriate professional help. Reach out to that person in a caring way. Initially, when the person has attempted suicide, it may not be appropriate to talk to them. You may just want to reassure them and put them in a safe environment,” said Dr Holgate. According to her, some parasuicides are not attempts by the person to kill themselves but a cry for help. “It is our opportunity as medical practitioners to reach out and help them overcome this feeling of helplessness, desperation and feeling that there is no one out there to assist them,” she said. If you are feeling depressed reach out for help. “Let us know. We are available and there are a lot of health care practitioners, voluntary organisations and our own counselling service that is there to assist you. You do not have to do it alone,” said Dr Holgate. 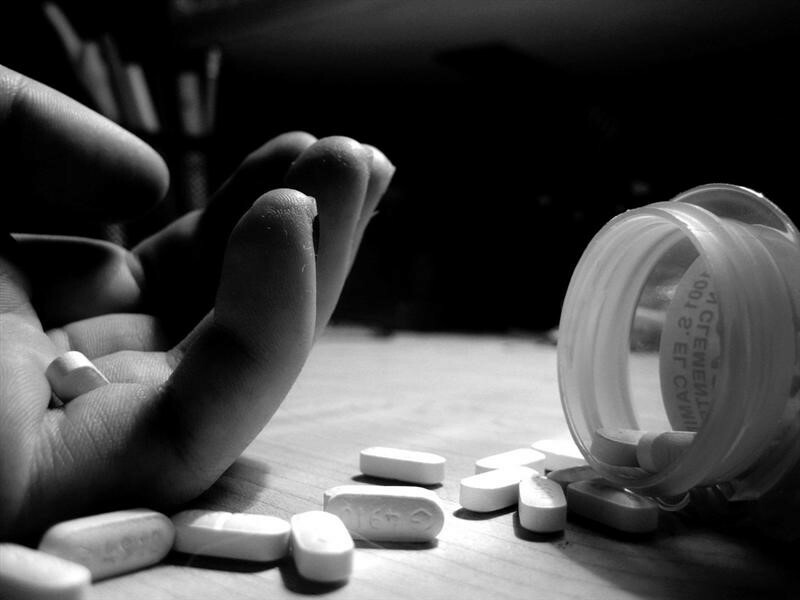 Attempted suicide can lead to brain damage, disfigurement or disability. Jacobs said there were some instances where people experienced brain damage to such an extent that they could no longer live a normal life. Teens who have previously attempted suicide. Psychological and mental disorders, especially depression and other mood disorders, schizophrenia and social anxiety. Substance abuse and/or alcohol disorders. History of abuse or mistreatment. Isolation or lack of social support. Easy access to methods or means of suicide. Exposure to others who have committed suicide. Feeling down, depressed or sad most of the day. Feeling irritable and angry. Significant weight loss or weight gain. Decrease or increase in appetite. Feeling very nervous and hyper. Feeling sluggish. Feeling worthless or unnecessarily guilty. Either recurrent thoughts of death without a specific plan or a suicide attempt or a specific plan for committing suicide. ER24’s Emergency Contact Centre can be reached 24 hours a day on 084 124.